After a long career with Loomis Brothers, Carl Rees has decided to retire. Carl’s retirement will be effective May 1, 2019. Joining our company in 1980, Carl has worked with Loomis Brothers for 39 years; longer than any other employee in our company’s 70-year history. Carl began his career installing machines and working with our service department. A few years later he started working in our sales department where he was trained and mentored by his father, Jack. This experience proved to be invaluable when Carl started working his own sales territory that included central and southern Illinois, southeastern Iowa, and western Kentucky. After a long run as a territory sales rep Carl accepted promotions to several management positions: sales manager, vice president of sales, and his current position as our vice president of strategic accounts. Carl’s success throughout his career at Loomis Brothers has earned him a reputation as being one of the top dealer sales professionals in the Milnor/Chicago dealer network. He is the recipient of numerous sales achievement awards from Pellerin Milnor, Chicago Dryer, and other leading manufacturers. In particular, Carl has won Milnor’s coveted “Key Man” award for a record eleven times; a record that is likely to stand for a long time. While we will all miss Carl and his industry experience, he has helped us prepare for our future by doing what his father did for him; training and mentoring his son, Gabe. Loomis Brothers has now been the benefactor of working with three generations of the Rees family! We pride ourselves on being a family-oriented company and we are fortunate to have a group of talented, long-term employees to lead us into the future. Please join us in congratulating Carl on his well-earned retirement. 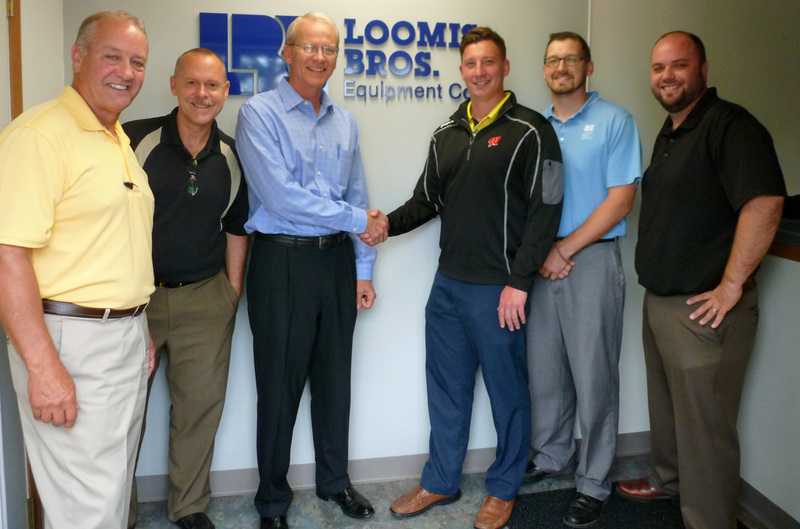 Huebsch® is proud to announce that they have added Loomis Bros. Equipment Co. to their distributor network. Loomis Bros. is now an authorized distributor of Huebsch® vended laundry equipment in Eastern MO, Southern Illinois, and Northern Indiana. Founded in 1949, Loomis Bros. has over 65 years of experience in the laundry business, and with Huebsch® having a more than 100 year history of manufacturing high quality laundry equipment it should make for a perfect partnership! 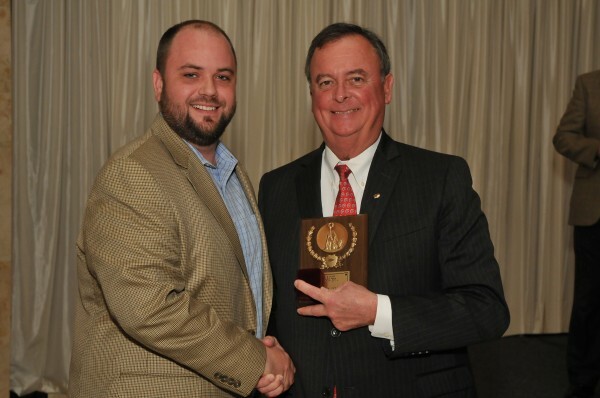 To sales awards were presented to Milnor dealers on Friday, April 17th by James W. Pellerin, President of Pellerin Milnor Corporation®, during Clean ’15 in Atlanta. Our own Gabe Rees (left) won his third consecutive Key Man award for 2013/2014. Here is a picture of Jim Pellerin (right) presenting Gabe with his award. Congratulations Gabe! 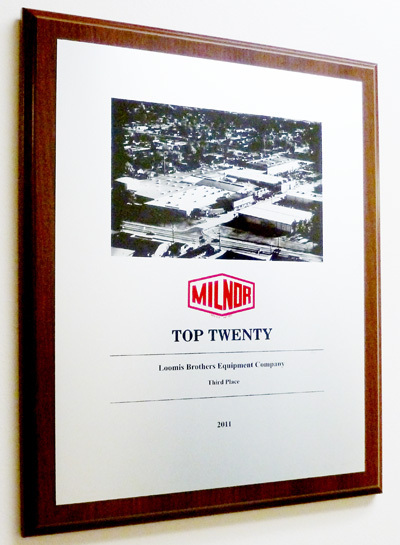 Loomis Bros. was also one of Milnor's® Top 20 dealers for 2014. Our Team recently participated in the ALS Ice Bucket Challenge to raise awareness for Lou Gehrig's Disease and donate money for researching a cure. We've issued a challenge to our friends at Pellerin Milnor Corp, American Dryer Corp and Chicago Dryer Corp to participate as well. Good luck! 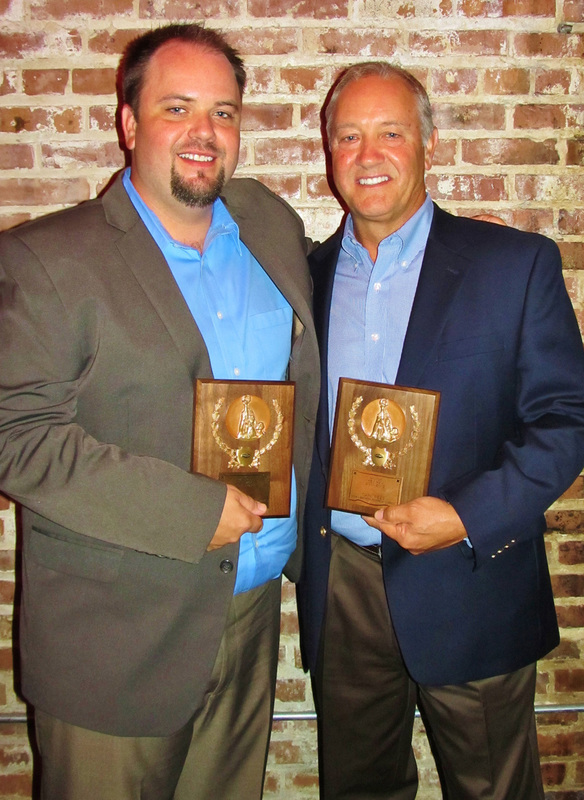 Carl Rees (right) and Gabe Rees (left) both won Milnor's® Key Man Award for sales in the Midwest region during 2011 & 2012. This was the first time that a Father & Son won the award together! Plus this was Carl's tenth time receiving the Key Man award and Gabe's second. Carl broke the record! Congratulations Carl & Gabe! In 2011, we were awarded third place in total Milnor® equipment sales among all Milnor® dealers in the world. Each year Pellerin Milnor Corporation® recognizes their top performing dealers from around the world with their "Top Twenty" sales achievement award. Loomis Bros. consistently ranks among the largest Milnor® dealers in the world and has been in the "Top Five" in seven of the last fourteen years. We have been an authorized Milnor® dealer since 1953.